On 24th September 2018, Silicon Connectors gather for a meaningful celebration of Mid-Autumn Festival. 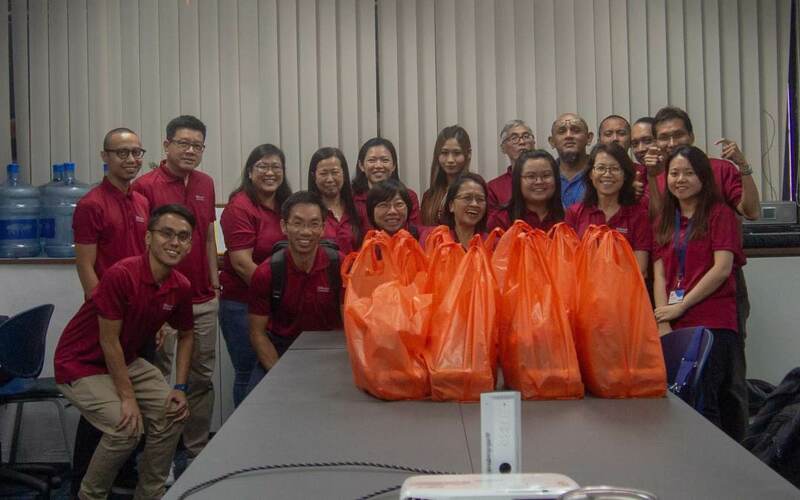 Partnering with Lions Befriender (Bendemeer) Senior Activity Centre, Silicon Connectors clad in red company polo t-shirt and proceed to selected households around the Bendemeer vicinity to distribute mooncakes. Items to bless the seniors include mooncake, biskettes, instant coffee, 3-in-1 Milo powder and bread. We hope our simple gesture would bring warmth to the seniors. Items were selected to be practical and suitable for seniors’ consumption. Silicon Connectors took the chance to make conversations with the elders during the mooncake distribution. We are truly happy to see the smile on their faces, and we will look forward to our next Corporate Social Responsibility activity.